Robert Mullins, of Ketchum, died in Las Vegas, Nev., on Feb. 1, 2013, after a short illness. Bob was born in 1924 in Twin Falls, Idaho, the youngest of nine children. His father, James Isaac Mullins, was a tailor, and the kids were known around town as “those Mullins kids.” Bob spent his childhood tagging along with his older siblings, swimming in Shoshone Falls, as well as working hard to help the family. In 1944, he enlisted in the Army and served in the First Infantry Division as a truck driver in the European theater. His final assignment for the military was as a guard at the Nuremberg trials. After the war he returned to Idaho, where his brother Carl had gotten him a job working at Yellowstone National Park. After that summer, they were offered jobs at the reopened Sun Valley ski resort, only 80 miles from his hometown. He started working in the kitchen as a dishwasher and prep cook, but was soon apprenticed as a butcher. He continued as butcher for the resort for nearly 30 years. He also worked at Warm Springs Restaurant, Christiana, and Felix’s Restaurant in the Wood River Valley as their butcher. He was also the butcher for most of the sportsmen in the area, and during hunting season would have dozens of deer hanging in his garage to be cut up for his friends and fellow hunters. While working at Sun Valley, Bob met his wife, Toodles, and they were married in 1948. Oddly enough, Toodles’ aunt and Bob’s family lived across the street from each other, but they didn’t meet until working at Sun Valley. Toodles and her mother would often hitch rides from Bob and his brother to Twin Falls on their day off. Bob and Toodles lived in the basement of the Sun Valley Lodge, with the other employees until they completed the construction of their house in Ketchum in 1952. Bob built the house by himself and only purchased the materials he could afford with each paycheck. They lived in this house on Washington Street in Ketchum, Idaho, until he moved to Las Vegas in 2011 to be near his daughter, Paula. Bob loved the outdoors and loved to hunt and fish as well as explore the mountains around his home. Bob and Toodles helped to found the Sawtooth Roamers Jeep Club, which took day trips around the area every Sunday in the summer. He also loved to work in his shop, building and fixing items around the house. He loved to work on cars and did much of the maintenance on the family cars himself. 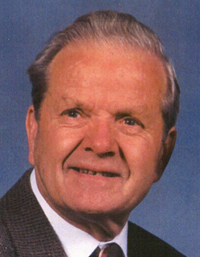 He was raised in the Lutheran faith, but when he moved to Sun Valley, he and his wife were two of the founding members of the Presbyterian Church of the Bigwood, where he was an elder, deacon and a member of the building committee. He is survived by his daughter, Paula (Las Vegas); his granddaughter, Kristen (Los Angeles); and his brother, Carl (Boise), as well as numerous nieces and nephews. He was preceded in death by his wife, Toodles, and his parents, James and Minnie, and seven brothers and sisters. A memorial service and celebration of his life will be scheduled this spring when the valley’s snowbirds come back to the valley. In lieu of flowers, tribute gifts can be made to the National World War II Museum, New Orleans, www.nationalww2museum.org, or the nonprofit charity of your choice.